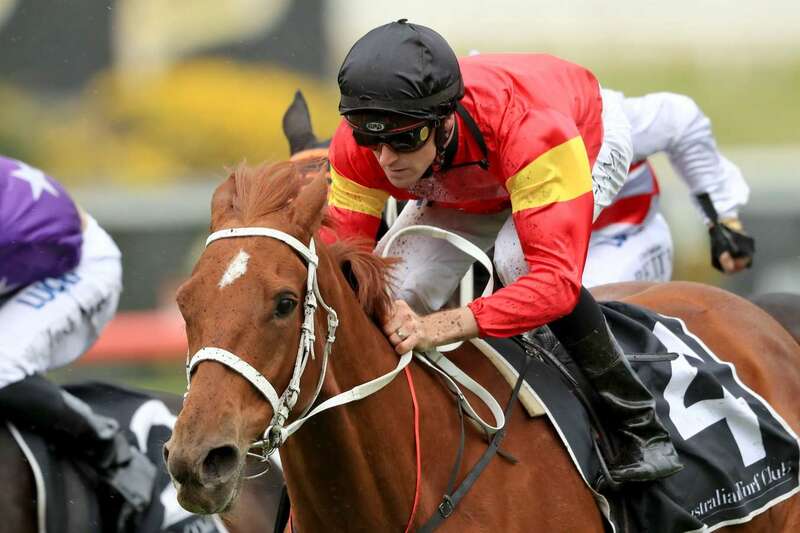 Form student, RIC CHAPMAN, details the hopes of every runner in the Group 1 Coolmore Classic at Rosehill on Saturday, with horse racing tips for the first four. Read on to see how he maps and assesses the race. Good luck, punters! Gr 1 Coolmore Classic winner from last year. That day she flew out of gate 14, charged across to be with the leaders all the way and kept fighting narrowly beating Oregon’s Day who she meets again here. Has had one start this time up for a disappointing 6th and from this outside draw with even more weight to hump around this year, she looks tested. But she is a warrior. She is a multiple Gr 2 winner and has placed twice at Gr 1 level. So deserves a win at the top grade. And will go extremely close. Has drawn by far the best of the main hopes and that first up 2nd to the flying and very fit Alassio last start rated as high as she has ever run. So she is back in perfect shape. She is in well at the weights here also. Many things in her favour plus the fact she loves it wet. Does map and shape as the one they all have to beat. Has won at Gr 1 level over 1600m and also over 2000m so should have little trouble with the trip or grade. However, ever since she raced Winx back in the Cox Plate her form has been horrible. Wouldn’t win a Kembla maiden! Winx has a habit of doing that. Anyway, she is with Chris Waller now and has drawn well but needs to lift on last start 10th when resuming. Probably will get too far back. Gr 2 winner and is a Gr 1 placegetter at Flemington over a mile. So she knows how to compete with this lot. Was caught between runners but didn’t really extend like she has proven she can do when 5th to Alassio in the lead-up race last start. Can’t win off that run. But, she has such a powerful finishing burst and is 3rd up here. Did win 3rd up last campaign. Was runner-up in this race last year when finishing down the centre of the track like a rocket. And she showed with her gutsy win climbing off the canvass and bursting between runners to score in a 1400m last start that she is just as lethal. Perfectly drawn so probably sits in top half dozen. If she gets out she is a big danger. Is the form horse. Likes to get out and lead and did that to win the Gr 2 last week beating many of these. Came home her last 600m in 34sec flat which just meant those behind her couldn’t run her down. The trip is her main worry here. There are a couple in this who also like to charge early so she will have company and with this weight, first time at the journey means she may be vulnerable. But she is racing in a purple patch winning 6 from 10! This is the dark horse. Last campaign she carried big weights and raced many of these and beat them. Won a stakes race when 4th up and is 4th up here following a great 4th to Trapeze Artist in track record time last week. Will probably go hard and be in a great spot early. May even find the one, one. Can run this journey and is going better than ever. Big danger. Good mare on her day but isn’t running well this time up. Was thrashed in the race won by Alassio last start and this is even harder. No. Led all way to win the Gr 2 over 1300m last start and was fast early. That was 2nd run this time up so must strip fitter. And chances are enhanced if the rain comes. Drawn to be right on the speed but the danger for her is that there will be a lot of early pressure as a couple of these like to lead. Has claims if she takes hold and sits just off the expected frantic speed. Gr 1 winning mare who is capable of claiming this. That’s dependent on a few factors. She will have to drop out from this horror outside draw and getting home from the back in this monstrous field is hard. Plus, she resumed from a spell last start and was thrashed by Winx. The GOAT tends to break the hearts of rivals so if that’s occurred she looks safely held here. This is an interesting mare. Former bush star now with Chris Waller and is a Gr 3 winner. Can stay so the trip is no issue. Can run very well in the mud, so tick that box. Has a great record 2nd up and is 2nd up here. This is her home track….big help. The draw means she has to drop back but she is a find-the-line type who is also extremely honest. Big show. Very good mare but the draw has hurt her here. She will probably have to race 3 or 4 wide all the way as a result. Ran slashing 3rd in track record time at Newcastle last start in the Newmarket so is fit enough. But that draw is a massive worry in a big field. This is the mare who won that Newcastle Newmarket over 1400m in track record time. And she is 3rd up here. Has so much fight in her but where does she end up in the run from this horror gate? Probably sits 3-wide or has to drop right out near the rear. Will be weaving her way home late because of her honesty. And just like that, here’s the mare who split Princess Posh and Invincible Gem in the track record romp over 1400m last week. Another who is very honest and now 3rd up. BUT…is also another who has drawn badly. Probably works hard to be with leaders and will be wide. Has class though so if Corey finds cover she could be a player. Is a Gr 1 winner and will nearly win this too. She wears rich orange colours and she will be rearward early but with this light weight and her ability to run on, look for her out wide steaming home. Has form at stakes level up to 2000m too so trip is no issue. Is 3rd up here. Last start was narrowly beaten in super fast time by Nakeeta Jane in the Gr 1. Big, big player. Good filly, really good on her day. Has placed at Gr 1 level over a mile but hasn’t actually won a race beyond 1200m. And was very plain when 6th over 1400m to Nakeeta Jane last start. Is trained here and should be running on but looks held. Is a Gr 3 winner and is a model of consistency. Has won 7 of 13 race starts and is in a purple patch of form winning 4 of past 5 starts. Is practically unbeatable if it rains. Her negatives are that she likes to go hard early as do many here and she has drawn poorly. Best hope is if it rains. Good mare on her day but is a tier behind the best of these. Was left flat-footed when they kicked when 7th to Alassio last start. Looks tested. Very solid galloper and is very honest. Last 2 starts she has chased home Alassio placing both times, and in very fast time. Has the drop on that flying mare in regards to weight difference but is another who is awkwardly placed because of the draw. It will be hard for her to find cover but if she does, she is a genuine player. Very strong finishing mare. Has yet to win 2nd up and is 2nd up here but does like it damp and that may occur. Came with a strong run to finish 4th to White Moss last start and is in very well at the weights. Has a liking for this track and yet to be beaten at this trip. Rough place show. Off this alley, she is going to make it very hard for a lot of these because she will lead. And that immediately hurts about 4 others. Led and wilted to miss a place to Alassio in the main lead up that day when resuming. Is fitter now and lightweight is a help. May really shake this up if she gets a start and then pinches a break on the bend. Smart filly who can sit behind or lead. Likely doesn’t get a run here and after her maiden win she went straight to Gr 1 level last start failing narrowly in a very fast race won by Nakeeta Jane. This looks too hard but is very lightly weighted. Good emerging talent who was unlucky to be drawn a reserve given she looked great coming from a mile back to win a Gr 2 last start over 1400m. This is lengths harder but is honest. This is a potent force of a 3YO filly. Capable of beating these and is my tip if she gets a run but that doesn’t look likely as she’s 4th reserve. Have in your numbers if a miracle occurs and she starts.